September. The month that always feels more like a new year than New Year. The kids are back at school next week and with Artie starting in reception it’s a bit new for all of us. 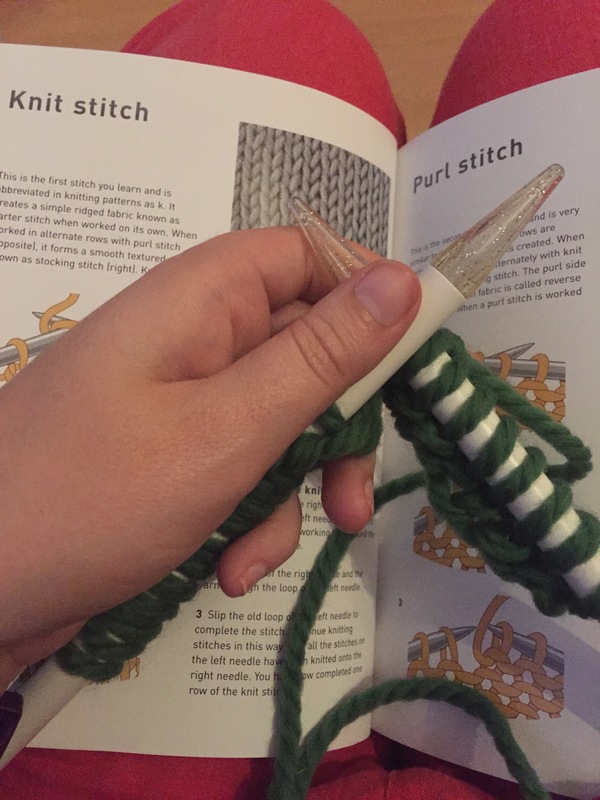 I decided I needed a project – something new to learn – and thanks to the lovely ladies I met in the craft room at BritMums Live back in June, my wish has been fulfilled. Coats Craft armed me with this gorgeous Rowan Yarns Big Wool (in Pine Needle), some glittery knitting needles, a how-to book and a super easy pattern for a scarf/cowl. Now all I need to do is put all the things together and make something!! The first of September marked day one of the project and I sat down in the evening to do a few rows. 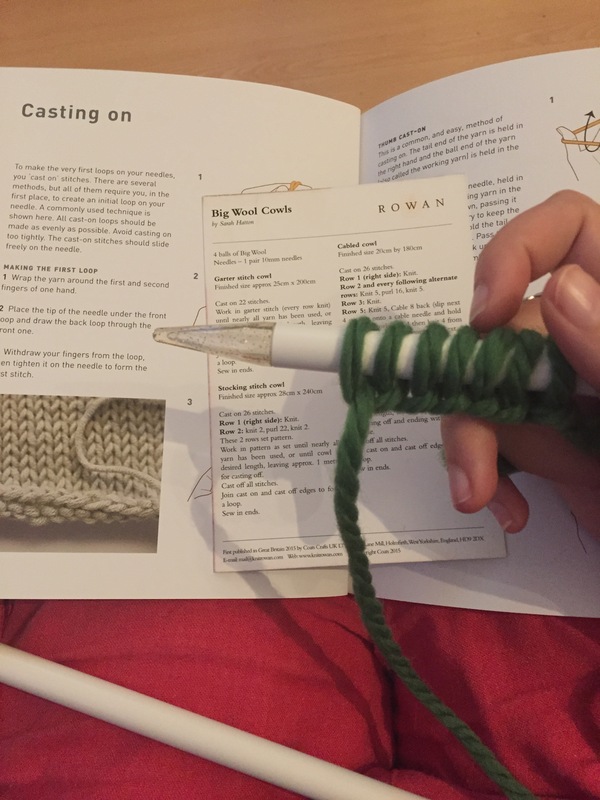 …and then amused/frustrated by my total inability to work out how to do the first row of actual knitting. 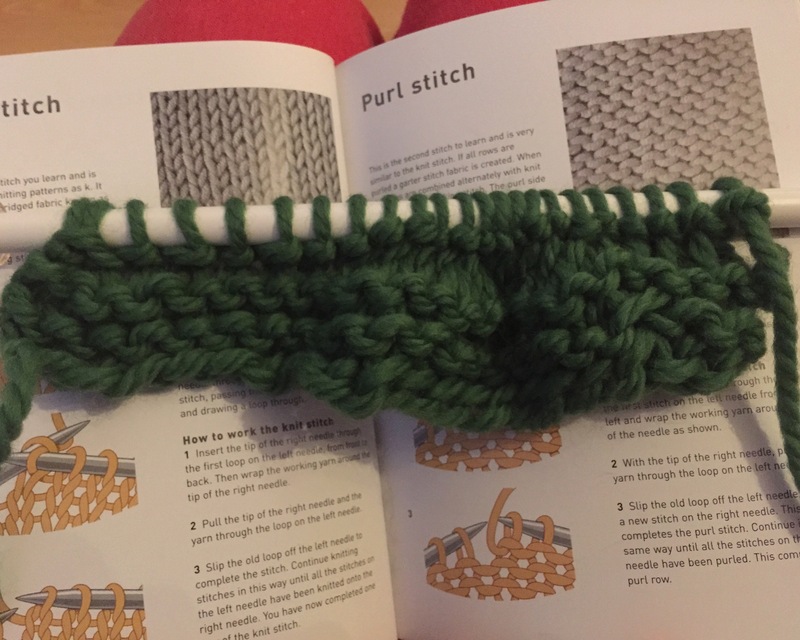 After studying the book, a couple of false starts and some amused help from my other half (who apparently can knit…) I got going! And two rows later realised I was gaining stitches somewhere. Then I lost one again. This is definitely going to take some practise! 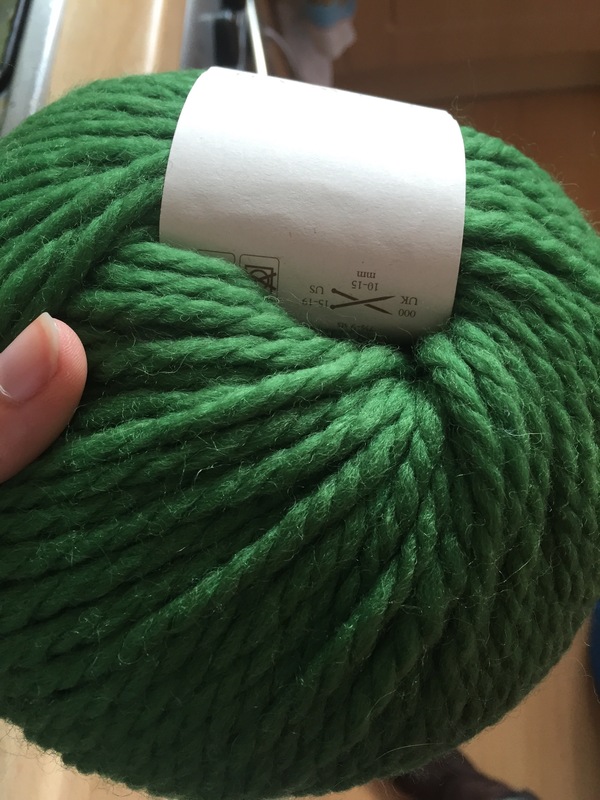 However I did end up with what looked like a piece of knitting. It is wonky and uneven but I did it all by myself and I’m sure I’ll get better as I do more. For my first day of my September Project I think I did okay.